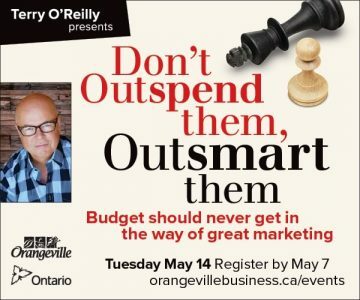 From the street you’d never know it – but behind these two Orangeville homes are gardens of magical delight. 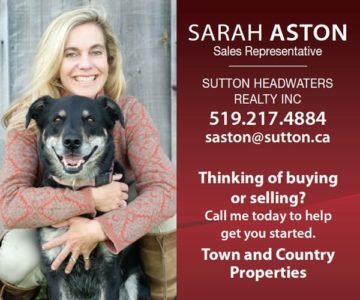 Two charming century homes sit close to the street on narrow Orangeville lots. Their unassuming front yards give no indication that behind the garden gates lie magical worlds of flourishing blooms and greenery. 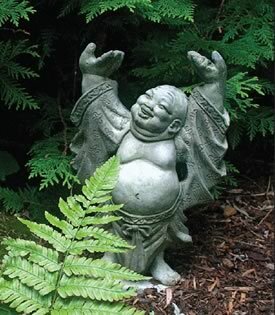 However, these secret gardens work their alchemy in different ways. Sue Edwards’ backyard on Zina Street measures just 50 by 60 feet, and the young garden is only four years old. It is colourful and whimsical with winding gravel paths that rein in bustling flowerbeds. 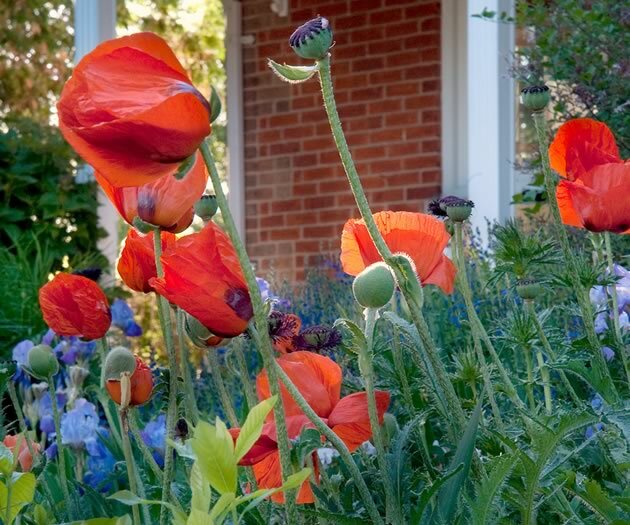 Both Sue Edwards and the Nephews now describe their gardens as low maintenance, but it took a lot of thought and preparation to arrive at that point. 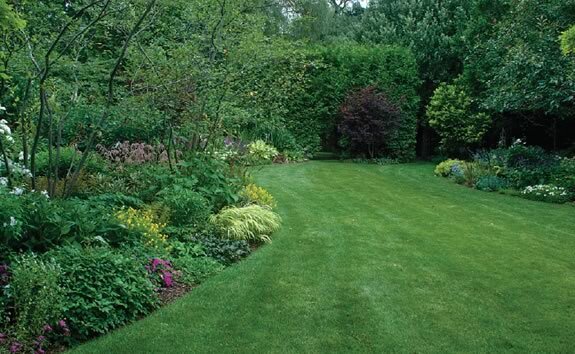 When the Nephews bought their house in 1971, the front section of the backyard had formal gardens that required back-breaking, time-consuming care. The section behind the hedge was wild and John used a machete to hack away the high grass, gout-weed and choke cherry so they could view Mill Creek at the rear of their property. They planted a lawn, and so it sat until John retired in 1998 and they enlisted the help of Sue Orr for a complete overhaul. The Nephews, who both have back problems, wanted to enjoy their property without its physical demands. The first step was to chainsaw an opening in the back of the garage for access to the backyard. 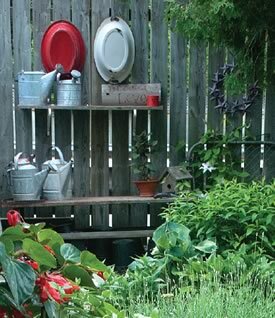 Cheryl designed a layered deck and John and friend Ken Grey built it, along with a fence that would become the backdrop to the gardens. To level the ground, John rented a backhoe and, while working, plunged into an old outhouse hole. “The smell was awful!” Cheryl and John agree in unison. Eventually he freed the backhoe and completed the task. With the structural “bones” in place, John started the next season by hauling truckloads of manure and sand and rototilling the yard. His goal was to mow the lawn on the tractor without having to edge. With Sue Orr’s assistance, they used a garden hose to lay out the curves for the flowerbeds. To this day they joke that Sue would say, “I want deeper gardens,” and John would say, “I want more lawn.” They finally compromised. Another truckload of manure went into the first flower bed and Sue began planting bulbs and flowering trees. She attributes the health of the garden to the good soil base that John hauled in and to buying quality plants. During the third season, Sue continued planting while the Nephews had a pond installed. John had taken up cave diving, so they wanted their pond to mimic a Mexican cenote – an underwater cavern with exposed rocky edges. “You’d just swear you could jump in and see a cavern system underneath,” Cheryl says. 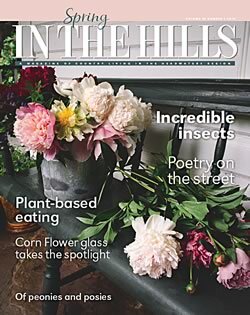 Over on Zina Street, Sue Edwards followed a similar progression when she tackled her long-neglected, overgrown yard of cedars, goutweed and peonies. “We did an edit with chainsaws and took out everything that was not appropriate for the space,” she says. With a clean slate she could imagine the winding paths and from there the flowerbeds. “The challenge in a small garden is that you really have to edit. 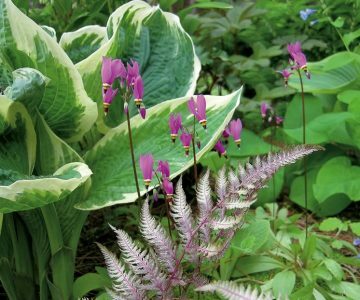 I love colour blocking, but if you want a mass of something in a small garden, you have to be very discerning about what you choose.” New dwarf and very slow-growing cultivars work well in a small space. Already re-evaluating her original choice to plant only perennials, Sue introduced shrubs during the last two years and is toying with the idea of creating a combination of bird-houses in the far corner of the yard for winter interest. The property’s last remaining patch of grass will disappear from the front yard this summer, Sue says, replaced by more gardens and gravel paths. But finding time for her own garden is a challenge. She and her partner maintained thirty-five gardens last summer, so she can often be found pruning and deadheading her own garden in the evening and after dark. Mulch and over-planting help keep weeding to a minimum. “I have a gate at the back of the garden and people wander in from the alley to visit while I work,” Sue says. Often she will give them a shovelful of a plant that needs dividing. Like the Nephews’, Sue’s garden is divided into rooms. She has created several spaces where her teenage children can entertain their friends privately, but simultaneously. 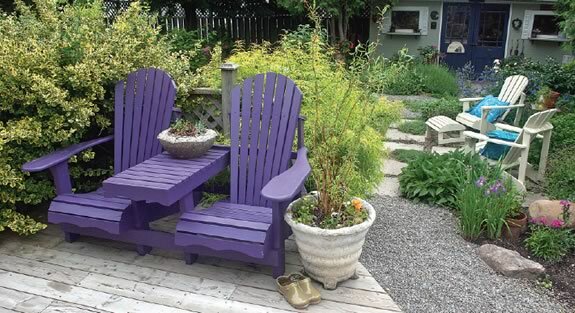 In a couple areas, Muskoka chairs sit low to the ground surrounded by tall scented blooms. John Nephew has made use of his talents as a fine woodworker to create exquisite outdoor tables, benches and arbours. 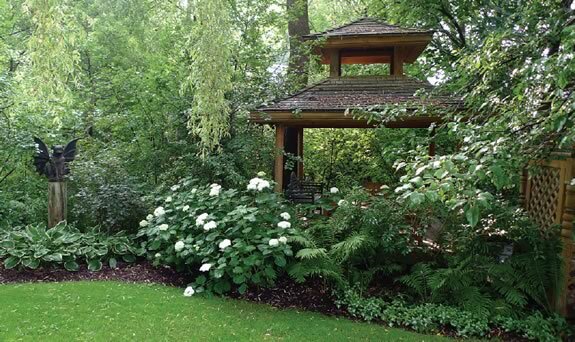 A pagoda he designed and built sits at the back of the property near the burbling creek. It’s the ideal spot for an evening glass of wine. Sue Edwards personalizes her garden with collections of watering cans and rakes. “I like organized clutter,” she says. 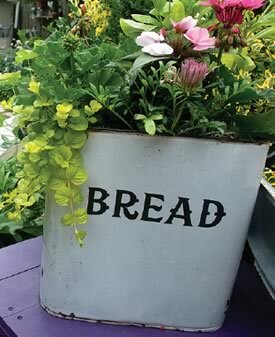 “I can’t throw things away so I figure they have one more life in the garden.” The breadbox planter is a perfect example; the rusted holes in the bottom conveniently provide drainage. The Nephews decorated their garden with unique metal sculptures created by Peter Brooks and have re-designed an old barbeque/oven into a fountain with Bacchus spilling water from his mouth. A friend cut a fossil-like image of an archaeopteryx (believed to be the first primitive bird) into a large rock that protrudes from the ground. With landscape lighting throughout the garden, “the whole thing is just like a little fairyland at night,” says Cheryl. “The yard is pretty much where I want it to be now,” says John. Their partnership with Sue Orr is one of mutual respect and joint delight in the garden. “We call it ‘Sue’s magic’ after she’s been here,” Cheryl says. Michele Green is a freelance writer who lives near Belfountain. How Lorraine Roberts conjures up dreamy landscapes using colour, shape – and an appetite for surprise.